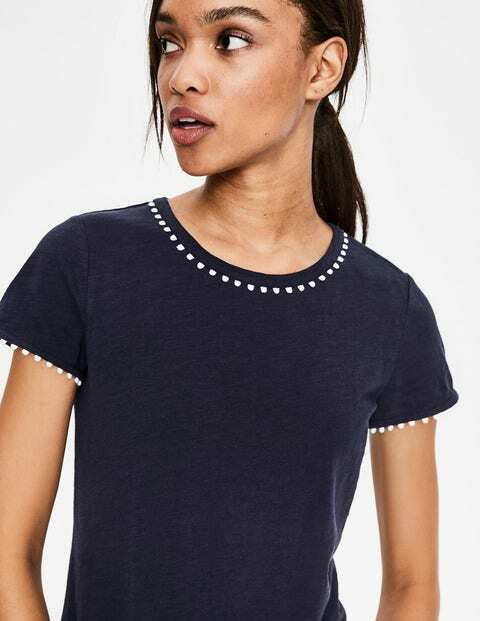 Pompoms mean fun, which is why we put them on this crew-neck T-shirt. The delicate pompom trim around the neck of this semi-fitted style takes it from simple staple to playful piece. Wear this slub cotton holiday essential with denim shorts and your favourite flip-flops for a day of sunny cobbled streets and pavement cafés.